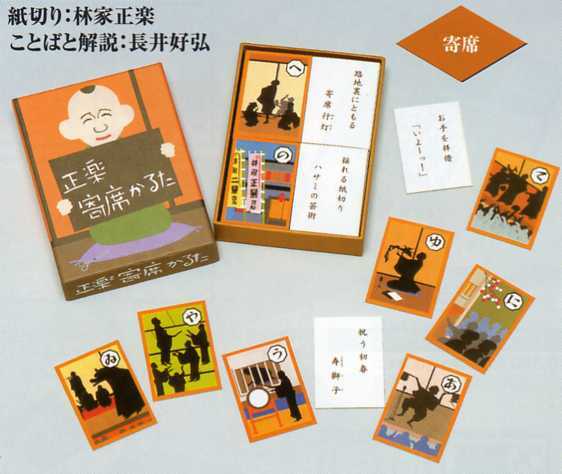 Things the surrounding vaudeville, rakugoka Hayashiya Syoraku teacher of "paper cutting master" was beautifully expressed by color paper cutting picture Karuta. In commentary and words of Yoshihiro Nagai , storyteller distinctive traditional words and I can remember. Each 47 sheets Yomifuda-up bill.